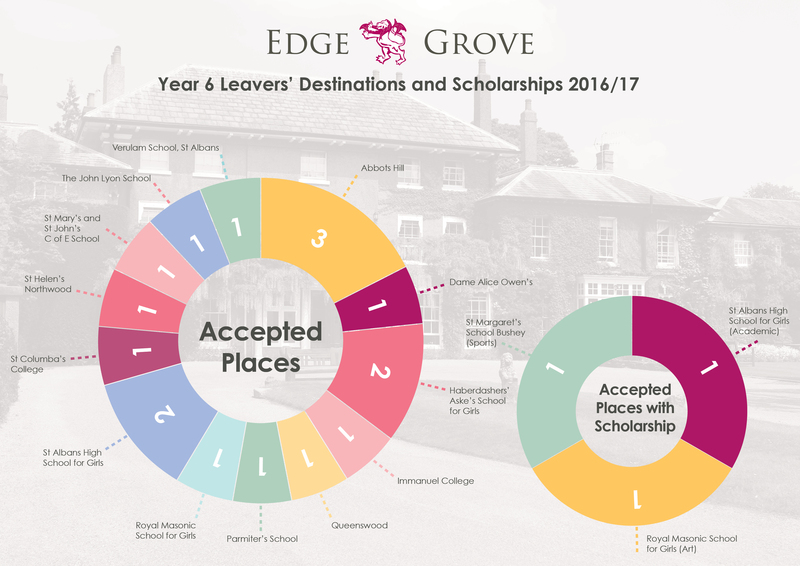 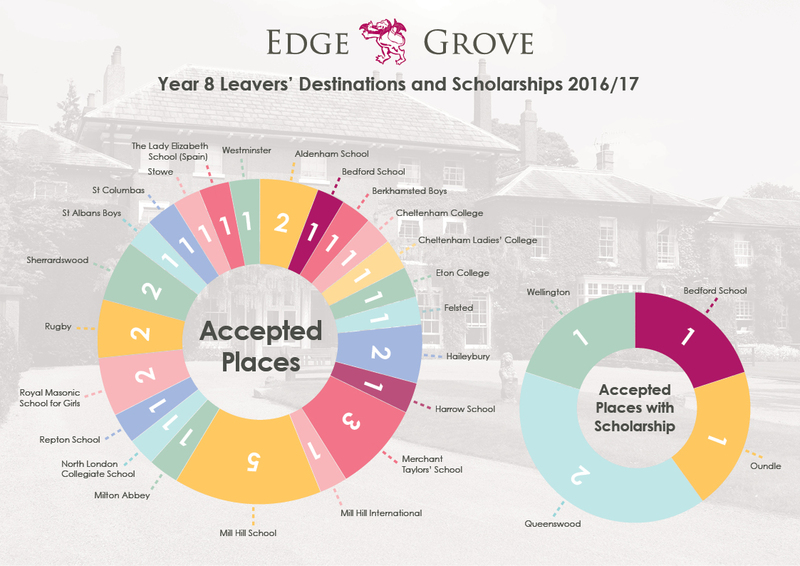 Pupils move on to a variety of schools after Edge Grove. 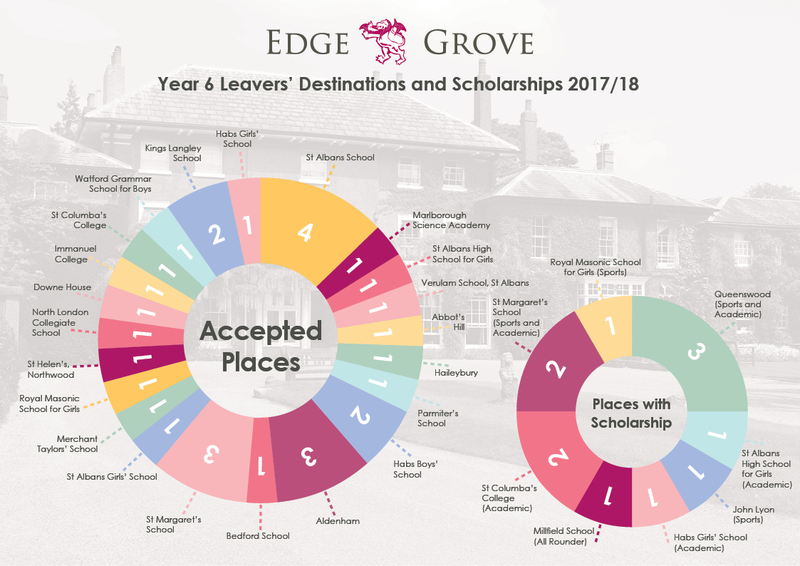 Most go on to local independent day schools, others go onto boarding schools, local grammar and other selective state schools. 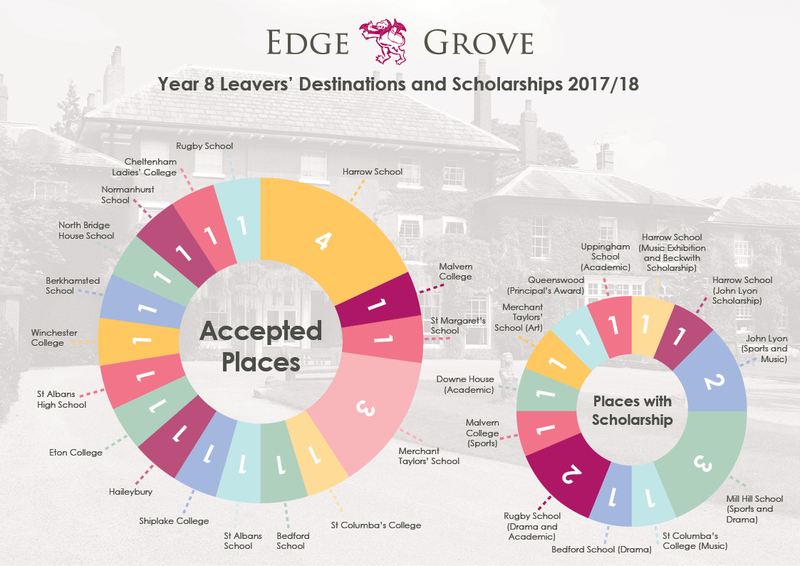 Below is a list of Scholarships and Awards achieved by our recent leavers, and also a list of schools to which our pupils have most recently transferred.